Temper the sun's harsh rays with the remarkable style of your Gucci™ sunglasses. Smooth plastic round lenses provide 100% UV protection. Color-block wrap on each arm stem. 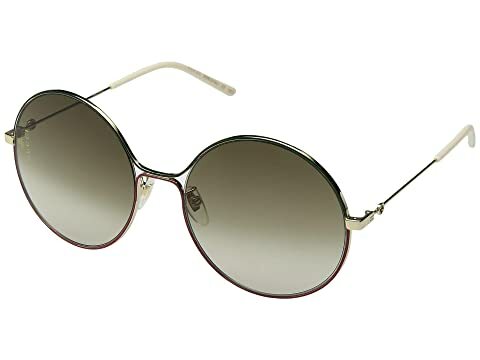 We can't currently find any similar items for the GG0395S by Gucci. Sorry!